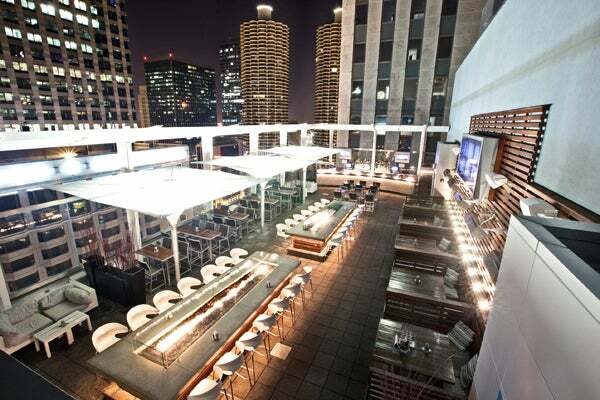 ROOF on theWit has always been one of our favorite places to see (honestly, the view is insane!) and be seen, and now they’re taking fashion to new heights — 27 floors up to be exact! On Thursday, July 18, ROOF on theWit will be playing host to three totally stylin’ shops as a part of their summer-long ROOF Runway Series. Gorg models will be sporting new collections of ladylike frocks from Miriam Cecilia, sharp bespoke suits from J. Toor, and an eclectic mix of prints and colors from Sara Jane. The show starts at dusk (around 7 p.m.), but with summery small plates like surf-and-turf tacos and new yummy cocktails, we know we’ll be heading straight up to the ROOF after work. After all, things sure are good at the top. ROOF on theWit, 201 North State Street (at Lake Street); 312-239-9502.